WyoSports senior editor Robert Gagliardi did a question-and-answer session with Robert Kuwada, who covers Fresno State football for the Fresno Bee, about Saturday’s game with the University of Wyoming. Kickoff is at 8:45 p.m. at Bulldog Stadium in Fresno, California. As the defending MW champs and picked by many to win the West Division, are you surprised the Bulldogs are 3-5 overall and what has been the biggest issues or struggles with this team? The 3-5 record is not much of a surprise. The three losses at the start of the season certainly are not. Fresno State isn’t at a point yet where it can compete physically with well-established Power Five teams like USC, Utah or Nebraska. Even last year, they needed extraordinary performances from an offense with Derek Carr, Davante Adams and Isaiah Burse to get by the more physical teams on the schedule. The surprise in there is the loss at UNLV, but they threw the ball 44 times against a defense that was ranked second to last in the nation in rushing defense and didn’t make any plays at the end. The issues on offense are to be expected to a point, with a lot of last year’s playmakers gone. They have had very inconsistent play from the quarterback position, and some inexperience at the outside and inside receiver positions. Brian Burrell, who lost the starting job, has completed only 56.4 percent of his passes. Fresno State is ninth in the MW in passing efficiency rating and 11th in yards per pass play. That obviously is not a good combination for a team that leads the league in passing attempts. Defensively, it’s more of the same. Fresno State had issues with is cornerback play last season and is again, giving up 9.0 yards per pass play and 254.2 yards per game. They’ve given up 34 pass plays of 20 or more yards and 17 of 30 or more yards, both worst in the conference. I’m sure you listed defense as one of the team’s struggles this season. What has been the biggest issues with this group and has that surprised you this season? The struggles against the pass aren’t a huge surprise. Fresno State had depth and talent issues last season that it thought was fixed to a degree through recruiting But junior-college transfer Corey Ferguson was dismissed before the season for a violation of athletic department policy, and Arizona transfer Bryan Harper quit the team for personal reasons after playing poorly early in the season. The Bulldogs have had five players start at least one game at the corner spots, including strong safety Charles Washington, who they moved out there for a couple of games. The lack of a pass rush hasn’t helped. The sacks are down by almost one per game from last season, but it’s also quarterback pressures and hurries. They pulled the redshirt off of freshman outside linebacker Justin Green in the seventh game of the season to try to get more pressure off the edge. 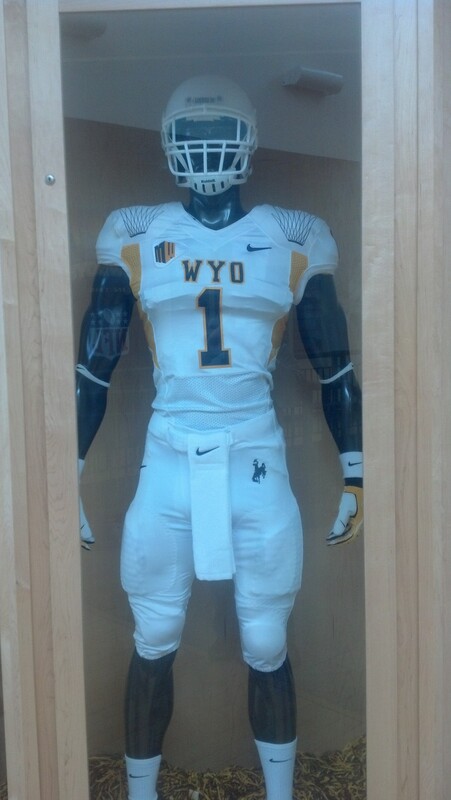 Here is WyoSports senior editor Robert Gagliardi’s top key to the game for Wyoming for tonight’s game with No. 17 Fresno State in Laramie. Take some chances: Meaning the defense can’t sit back and let Fresno State’s high-powered offense do what it wants. 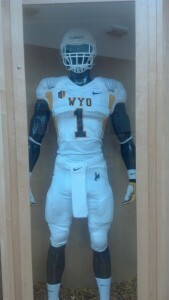 Wyoming needs to put pressure on senior quarterback Derek Carr, and won’t do it with its front three or four guys. The Cowboys don’t need to be wreckless, but they need to take more chances with blitzes and pressure to make Carr uncomfortable. For more keys and more on the game, see today’s Wyoming Tribune Eagle and Laramie Boomerang and log on to wyosports.net. Also, join Gagliardi for his live chat for the game starting at 7:45 p.m. from Jonah Field at War Memorial Stadium. Links to the chat are on this blog and at wyosports.net. Here are some notes and quotes about Wyoming’s football game against No. 17 Fresno State at 8:15 p.m. Saturday at Jonah Field at War Memorial Stadium. — UW coach Dave Christensen and Fresno State coach Tim DeRuyter went against each other as assistant coaches in the Mid-American Conference. Christensen was at Toldeo and DeRuyter at Ohio. — “They’re averaging over 500 yards a game, and the thing that’s impressive is they’re doing it both in the running game and throwing game. That’s a tough combination.” — DeRuyter of UW’s offense. — “I think if you’re in good shape, it can be a factor if you allow it to be. If you’re not in good shape, it will kill you. … I think our guys will be fine.” — DeRuyter on playing at 7,220 feet of elevation Saturday. WyoSports senior editor Robert Gagliardi did a question-and-answer session with Bryant-Jon Anteola, who covers Fresno State football for the Fresno Bee about Saturday night’s game with the University of Wyoming in Laramie. Quarterback Derek Carr became the school’s career passing leader last week. How good is Carr and how does he compare to some of the other great ones at Fresno State — notably his brother, David — and how has he flourished on coach Tim DeRuyter’s spread scheme? Statistically, it’s turning out that Fresno State fans currently are watching the best quarterback ever in school history. Derek Carr holds 17 Fresno State records, including the most career passing yards (10,821) and touchdowns (91) and the highest career completion percentage (66.4) in school history. Nationally this season, Carr ranks second in both passing yards per game (382.6) and touchdowns (28) and enters Saturday’s game at Wyoming with 183 straight pass attempts without an interception. So, he’s obviously doing things that no player has ever done before at Fresno State. Ex-coach Pat Hill, who coached both Derek and David Carr, said from the get-go that Derek arrived at Fresno State more polished than his older brother, but because David had been tutoring and grooming Derek throughout his life. Both have a quick release and keep their bodies compact in their delivery, which allows them to maintain accuracy even as the pocket shrinks. Easily the most dynamic players on the field for Saturday’s game between Wyoming and No. 17 Fresno State are the two quarterbacks. UW junior Brett Smith and Fresno State senior Derek Carr are among the nation’s best at their position. Carr is second nationally in total offense (389.9 ypg), passing yards (382.6 ypg) and touchdown passes (28). Smith is eighth in total offense (349.8 ypg), 14th in passing yards (295.9 ypg) and 14th in touchdown passes (19). Both players have two of the nation’s top 17 efforts in terms of single-game total offense this season. Smith has the seventh-best and 17th best. Carr has the 14th and 15th best. NFLfuture.com recently ranked the top college quarterbacks according to their class, and Wyoming’s Brett Smith was ranked third among junior quarterbacks. 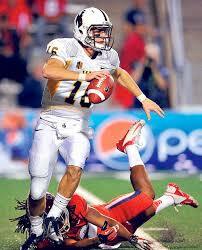 Wyoming quarterback Brett Smith in action last season at Fresno State. The only quarterbacks ranked ahead of Smith, among juniors, were Louisville’s Teddy Bridgewater and Michigan’s Devin Gardner. The MW had two of the top four senior quarterbacks according to the site. 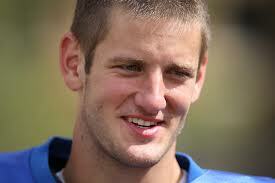 San Jose State’s David Fales was first and Fresno State’s Derek Carr was fourth. 1. Fresno State (8-3 overall, 6-1 MW): Remains a solid No. 1 this week after a 52-36 win at Nevada last week. Junior quarterback Derek Carr leads the league with 3,290 yards and 32 touchdowns. The defense has recorded at least one interception in nine straight games, and has forced the most turnovers in the league (30). 2. San Diego State (8-3, 6-1): The Aztecs remain ahead of Boise State this week based on their win in Boise and their impressive 28-9 home win over Air Force last week. Coach Rocky Long’s defense continues to improve, especially up front. San Diego State is off this week and ends the regular season at Wyoming next week. 3. Boise State (8-2, 5-1): The Broncos are still the only ranked team in the conference, and there’s not a big difference between the top three teams in the conference. The regular-season finale at Nevada could be tricky. Special teams and a lack of offensive production has the Broncos down a notch or two from the past.